Our 30 Days for $30 is our FAVORITE CATCHPHRASE here at Heart & Sole Dance! Start with the first basics class of the month and continue to take any basics classes for the rest of that month. We like to call this our ‘Dance Addicts Pass’ (originally $119!) We are introducing this special 30 for 30 offer to NEW students only! If you’re unsure where or when to start, this is the perfect place. We offer basic group classes on Tuesdays, Thursdays, Fridays, and Saturdays (for Zumba!). We love seeing new students out on the dance floor and are happy to offer a sampling of several different dances so that YOU can find out what YOU like best. We know not every dancer is the same so we change up our dances every month to make sure you, as our client, can learn the largest variety of dances possible! You can start up at the first basics class of any given month (Tuesday, Thursday, Friday, or Saturday)! The 30 for 30 passes begin on the 1st of the month and are active throughout that entire calendar month! You can take any basics classes (including Zumba)! 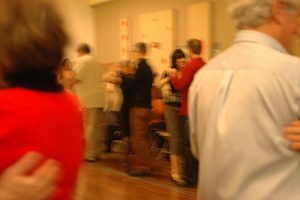 We offer basics classes on Tuesdays, Thursdays, Fridays, and Saturdays (ALL at different times and ALL different dances! Be sure to check the schedule for that month of classes). The pass does not include specialty classes, events, workshops, or dances and is not for 30 separate classes. To take full advantage of the 30 for 30 offer, we recommend starting in the first basics class of the month. Come in every Tuesday, Thursday, Friday, and Saturday and that means you can take advantage of 16 classes for only $30! That’s less than $2/per class! Head over to our calendar to check out our entire schedule for the upcoming months!